In 2015 - the 150th anniversary year of The Salvation Army - Salvationists and Christian friends around the world are called to join together to read through the whole of the New Testament within one year - The Whole World Reading! You are invited to journey with us as we reflect on God's timeless message to his church. 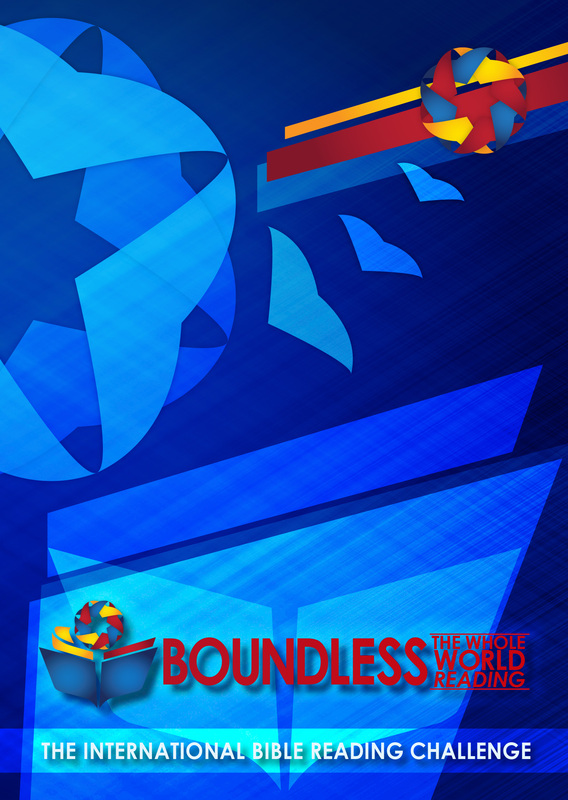 Boundless - The Whole World Reading splits the New Testament up into manageable chunks - usually a chapter at a time. There is a reading for every weekday (which means the weekends are free for additional study, or catching up!). There are discussion questions for each portion of Scripture, which you can talk about in small groups, over family meals or at your corps/church. Ask your Salvation Army territorial or command headquarters for a copy of the printed booklet that has been produced for this special year, or download a PDF version here. The website and mobile app provide the same daily readings - published a day at a time. They also include additional material from Words of Life, The Salvation Army's daily devotional publication as well as specially-produced video and audio content to augment the text. Online and app users are invited to share their thoughts on the readings every day. Bookmark the website, add the app to your smartphone's home screen, sign up to our email reminder service and follow @BoundlessBible on Twitter so that you will never forget a day's reading! Share your progress with others - your family, your friends, people at your corps/church, colleagues at work. Ask questions, make comments, wrestle with the passages that might be harder to understand. Tweet with the hashtag #BoundlessBible or interact with others on the IHQ Facebook Page. Involve your whole family - there are engaging children's activities each week, and young people can access material via their existing social networks. Find out why The Whole World Reading is important to the General and Commissioner Silvia Cox. The Whole World Reading is an exciting initiative which began in the United Kingdom in 2010. First adopted by Hythe Corps and later by Salvationists across the UK, the challenge was to read through the whole of the New Testament within one year. Revised for an international audience, Major Phil Layton has written ‘discussion starters’ for each chapter, which may be useful either for personal devotions or for group study. Additional online content has been written by Major Beverly Ivany. Children's activities have been devised by Captains Rachael Castle and Tracey Davies. The website is maintained by David Giles, IHQ Communications, with audio and video content produced by Gary Rose.